Welcome to the new blog of "Fee's Shabby Shack". Each day our "Deal of the Day" will be listed here on the blog along with FREE tutorials from time to time using our products. If you want to receive our posts via e-mail just simply sign up over there on the right or sign up to our e-mail to receive it in your Inbox each morning - Or sign up for both. To celebrate the launch of the blog we are having a give away !!! One lucky winner will win a mystery pack of Deals valued at over $100. Entry is open to everyone worldwide. Here's what you have to do - Please Blog about our new Fee's Shabby Shack Blog and ask your friends to sign up to our newsletter. (Leave a comment once you have blogged so we can come and visit and we will give you an additional 3 entries for doing so). All newsletter subscribers will receive 1 additional entry. 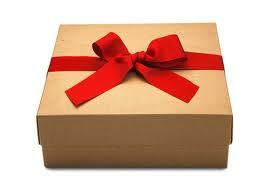 Don't forget to tell them that we offer FREE postage to our Australian Customers - ALWAYS !! And low cost postage to our Overseas friends. If your name is drawn out and you are a facebook liker and a newsletter subscriber you will receive a pack of 10 assorted paper patterns as an extra bonus ! Over $200 Value with the mystery box - An exciting give away I must say !! Entries close on Friday 9th August 2013 at 5pm AEST and the winner will be chosen using random number generator and announced here on the blog on Saturday 10th August 2013. Babushka Dolls Galore !!!! Aren't they adorable? 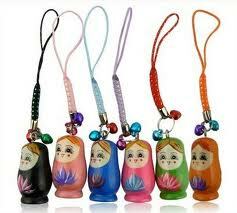 Each little babushka doll stands 35mm high and is made of wood and hand painted. There are 2 tiny little bells at the top along with the hanger. Hang from Scissors, key rings, mobile phones and much much more. What a gorgeous gift for a friend ! They come in a wide range of colours and are just $3.00 each which includes FREE postage within Australia and a low $2.00 for our overseas friends. Go over to the SHACK to take a look !! wow that´s so cool. I´m a facebook friend and now I´ll get over to my blog and BLOG about you, I´m also going to subscribe to your newsletter AGAIN I LOVE your stutt. Just me again LOL letting you know that I´v "bragged" about you on my blog. and by the way I LOVE your STUFF LOL not stutt. I liked you on Facebook & I get your newsletter. I don't have a Blog so I can't blog about your shop but I do tell my creative friends. You have beautiful things and free postage is a big bonus. Great promotion Fee. I have blogged about your blog, giveaway and shop. I have also signed up for your newsletter and told others to do the same. This is exciting. I already get your newsletters. I am looking forward to the blog. Unfortunately, I don't have a blog, but I'll be telling my friends about the Shack. I "liked" you on Facebook, and signed up for your newsletter. I don't have a blog, but I signed up for your newsletter and liked your facebook. I have signed up for your newsletter and lined your facebook page too. All the best.